First let me start with a word of gratitude, it was a pleasure meeting and learning with you! Even after only a few lessons, I have already started using the techniques you’ve showed me! –Monique N.
You probably don’t remember me, but about three or four years ago I was visiting New York from Alaska, and my wife set up a lesson with you for me. You were extremely generous with your time, and I learned a ton. I just wanted to let you know that my whole approach to my voice as an instrument changed from our session, and the results have been amazing! I used to struggle through a five night a week gig, feeling soreness and sometimes even pain. Now I can do 4 and 5 hour nights, no pain, and my range has really expanded. I just wanted to let you know that I appreciated all of your comments, time, and instruction. It has made a huge difference in my career, and I can’t tell you how good it’s feels to really be able to sing at the level that I am working. Thank you so much.–Justin Somaduroff. I always had a bizarre fascination with music despite having two tone deaf parents. I tried some online tutorials and books but when the limitations of that medium began to show in my progress it was time to find a professional. I experienced a lot of mediocrity before realizing what I really need is a 360 producer / musician and his/her ear. In his studio Breck plays all the instruments, controls the board during recording and does all the post but it is his ear that I value the most. By way of his comprehensive / do it all approach to music there is not a thing he could not teach me. We record our sessions each week and I listen back to pick up the finer points and practice at home with a $200 usb mic and garage band both of which are shockingly good. Bottom line is you can get started online and in books but you cannot reach the next level without a professionals great ear and who better than an accomplished singer / song-writer who produces bands in his own studio?–Stuart M.
When I first came to Breck I had very little experience singing. I also didn’t have confidence in my ability. Immediately Breck created a positive, comfortable environment where I began to lose my insecurities and my voice bloomed. I learned more in the first session than I ever thought possible. Within a few months I was recording songs and singing my heart out. He is by far the best teacher I have ever had. I highly recommend him.–K.B. When I started working with Breck I had no previous voice training. He taught me techniques that helped me to increase my vocal range and open up qualities in my voice that I never knew I had. He was patient, persistent and supportive in helping me to expand my capabilities. He gave me a toolbox of techniques that continue to support my growth as a singer. He not only helped me to find my voice, he gave me a users manual for how to tap into its potential. –Laurie M.
Breck is a one of a kind teacher. In short, he is amazing. Other voice teachers weren’t able to articulate how I was supposed to do something. Some of them could demonstrate a technique, but they couldn’t tell me how to do it. Breck can tell you specifically how to get the voice you are looking for. He is patient, specific and his methods work! Plus, he is a safe teacher (he does vocal therapy work as well) and makes sure that you don’t learn bad habits that will ultimately hurt your voice. His prices may look on the expensive side, but I learned so much more per lesson than with a standard teacher, that I actually ended up saving money. I make my living gigging and thanks to Breck can now hit those Kurt Cobain notes. –Joe G.
I worked with Breck Alan for almost 2 years when I was living in New York. 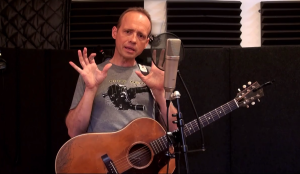 I come from a choral background and hadn’t been in touch with my voice in years, when I thought “hey, I’m in NY, I should try to get back into it.” After searching online for vocal teachers, I came across Breck’s website and just loved what he had to offer. After meeting him, I was sold. Breck’s way of teaching is very personalized and he is very intune with his student and what their needs are. He keeps records of your progress, what you are singing, what exercises help you vocally, etc. And he is just a fun person to be around, which made coming in vocal lessons a treat. I highly recommend him to anyone interested in pursuing vocal lessons.–Deepika M.
Starting voice lessons with Breck Alan was one of the best decisions I ever made. I’ve been working with him for a few years now, and the lessons just keep on getting better. His instruction is nuanced and specific. He has an incredible ability to zero in on technical trouble really quickly, and always knows how to remedy the problem. I’ve progressed in ways I could not have imagined since I’ve been with him. He’s also helped me with my guitar playing, and is one of the coolest people I know.–Tony N.
Breck Alan makes singing seem like such an easy endeavor. I always got so confused with other teachers who spoke so esoterically about the voice as if it were some sort mythical creature. He really breaks it down to a situation of connecting the dots. Not to say that I wasn’t challenged, just that I constantly felt like I knew where I was and where I was headed with my voice. Breck’s approach to teaching had me conscious of my voice very early on. I never really new whether he was handling me uniquely or if it was something of a mathematical approach that always equated to a better understanding of self. Regardless I felt his teaching led me on a path that is so individual however becomes more and more communicative as I train and experience. He knows what he is doing. If your looking to strengthen your voice without compromising your own quirks Breck Alan is your man.–Shane A. A few years ago, I had decided to take vocal lessons so I could find a gig as a guitarist WITH backing vocal ability. I decided to do some research. After I interviewed several teachers and took 2 disastrous lessons from another so called ‘professional’, I decided to do some more research, and that is when I found Breck. After listening to his material on his website I could tell that he was a great singer. But being a guitarist of 15 years having 3 guitar teachers taught me that being a good musician AND an good teacher are often mutually exclusive. As soon as I met with Breck I knew he was both. During our lessons he was always respectful to my limitations and the fact that I was very self-conscious about my voice. He always made me feel at ease. This is really important and seems like common sense, but all too often this is not the case with many teachers. He also kept detailed records of my progress. This was also important-Breck was not just teaching me random items He created a program to follow that allowed me to improve. He is a complete professional. Now this not to say that Breck is some stiff strict teacher-he is a really cool guy and although our lessons were always focused they were often spiked with humor. Having said that I practiced every day (and still do!) because he will know if you didn’t. This is another important area. Just like anything else, if you want to progress, you MUST practice. Breck will show you the way but you need to commit yourself and put in the time. Working with Breck was so instrumental in breaking down some of the fears around “finding my voice”. As a true beginner and never having sung a note in my life, finding my voice seemed both wishful thinking and terrifying. However, working with him has proved to be quite an enjoyable journey. His depth of technical knowledge, musicality and interpersonal intuition helped shaped what I needed in my lessons and refined what I THOUGHT I wanted to learn. Also, he provides a really encouraging environment that is also grounded with real techniques that aren’t overwhelming but are effective. It a totally organic and rigorous approach to learning how to sing! Now I am brave enough to sing and don’t just sound like a karaoke track or like I am imitating someone. AND Breck is super nice and has a awesome voice too so that is a nice bonus! –N Do. I was a long term student of Breck Alan and went to him as a beginner with no confidence in my voice or ability to sing. Brecks nature made it very easy for me to relax and able to gain confidence in my voice through his exercises and words of wisdom. Breck has a great way of explaining that made so much sense to me. I would definitely recommend experiencing voice lessons here.–Shelley K.
When I first came to Breck I had very little experience singing. I also didn’t have confidence in my ability. Immediately Breck created a positive, comfortable environment where I began to lose my insecurities and my voice bloomed. I learned more in the first session than I ever thought possible. Within a few months I was recording songs and singing my heart out. He is by far the best teacher I have ever had. I highly recommend him.–Dana S.